Without the World Servants and their short term mission trips, The Family Center would not exist. Since their very first mission trip to Richwood not only have the banded together to help renovate our building but they have inspired us to become what we have become. Our tag line of Building Relationships came from working with the World Servants. No matter who benefits from their visits they are truly all about "Building Relationships!" 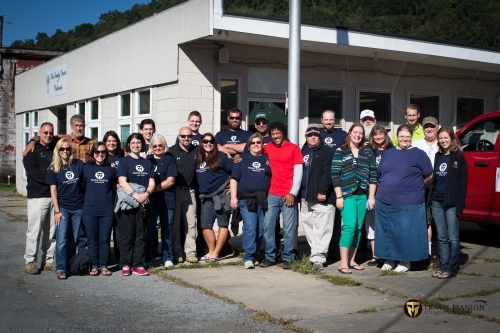 The Travis Manion Foundation coupled with the World Servants to come to Richwood in September 2013. Two Veteran's houses were repaired and some finishing touches were added to The Family Center. Copyright 2018 The Family Center, Inc.